At one point i saw them mention completing quests, is that just the easter egg hunt or is there and actual quest? There are some small little activities more like the carnivals ones where you have to kill and get x amount of stuff to get a juggle, there are many variants of it the juggles. It’s inside a cave on the map easter grove. I’m not sure if there are any other quests besides this, but it’ll take up quite a bit of time to get all the juggles. 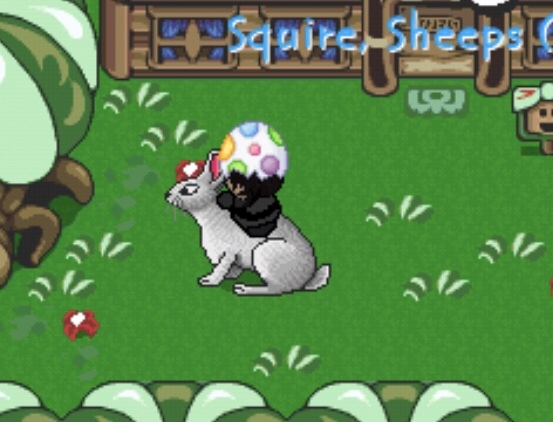 Sorry for the late post, but here is the reward(s) for the egg hunt! Well I'm a bit disappointment that theres no Ducky mount, so until next year. The shops have alot of good stuff since 2016 (beforr the easter grove is added), so good job everyone! Besides whats the main purpose to give rainbows in the first place, if nobody can ban scammers from buying/sell the rainbow outside the easter event.